Auditions and casting call for kids in Canada! Attention Ontario area parents with charming and maybe talented children, an old TV show is coming back and is casting kids all over the Ontario area to appear on the show. Auditions for this new show will be done completely online by uploading videos. You do not have to go anywhere or meet with anyone at this stage, you simply just video tape your child. The videos will be kept private and will only be seen by the show’s producers. 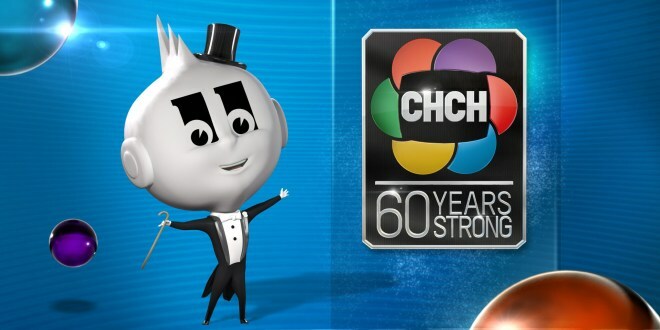 Canadian TV station CHCH TV HD is bringing back an old show. The channel will begin airing their child talent showcase “Tiny Talent Time” in the summer of 2014. The network is looking for some great acts to fit the bill. Do you have a kid who can do tap, tricks, sing, or anything else that warrants some TV attention? If so this may me a great opportunity to have your talented kid featured on a network TV show! CHCH DT / TV is an indie station that runs in Hamilton, Halton, Niagara and Greater Toronto Areas. Recently, the channel joined Channel Zero and is now one of their affiliate stations. Tiny Talent Time Casting Call for kids 12 and under for TV show. Tiny Talent Time is looking for some not so tiny talent! Auditions for kids will be done online and all you have to do is submit a video of your kid doing what he or she does best for a chance to get on the show. Do you have a child that can tap, do magic tricks or dance? Here is a great way to show your child’s talent off to a TV audience. This June, CHCH is bringing back one of the longest running and most-loved shows in Canadian television history! It’s all part of our 60th Anniversary Celebration kicking off in 2014. “Tiny Talent Time” is looking for special little talents like musicians, acrobats, magicians, ballerinas, and everything in between! The Canadian talent search just began and you can submit your children by uploading a video to their site. The kid talent search is open to all children in the Ontario area. Tiny Talent Time will return to the air in June 2014. The CHCH kids talent show will begin with 8 episodes for the first season. The show will be a 1/2 hour long. Originally, the show was on air for 35 years and first aired in 1957. The show ran until 1992. Tiny Talent Time is now coming back in 2014! Children ages 12 and under are eligible – single and group acts welcome! All videos must include an on-screen introduction from the child(ren) telling us about their talent, and why they would like to be on our show. Limit of one submission per discipline per child or group (e.g. you can submit one video of your child playing an instrument or singing a song, and another video of your child performing a dance routine; both will be considered). Even though the Casting Call is open for several weeks, the Tiny Talent Time selection committee will be busy reviewing the submissions every day and looking for the brightest stars. So get your submissions in early. So get the ball rolling and lets see what your kids have… maybe it will be good enough to be featured on a prime time talent show on Canadian television. Please note that this casting call is only for people who live in Canada and more specifically, in the Ontario area where the show will air. CHCH TV mascot Mr. Eleven is coming back to primetime!